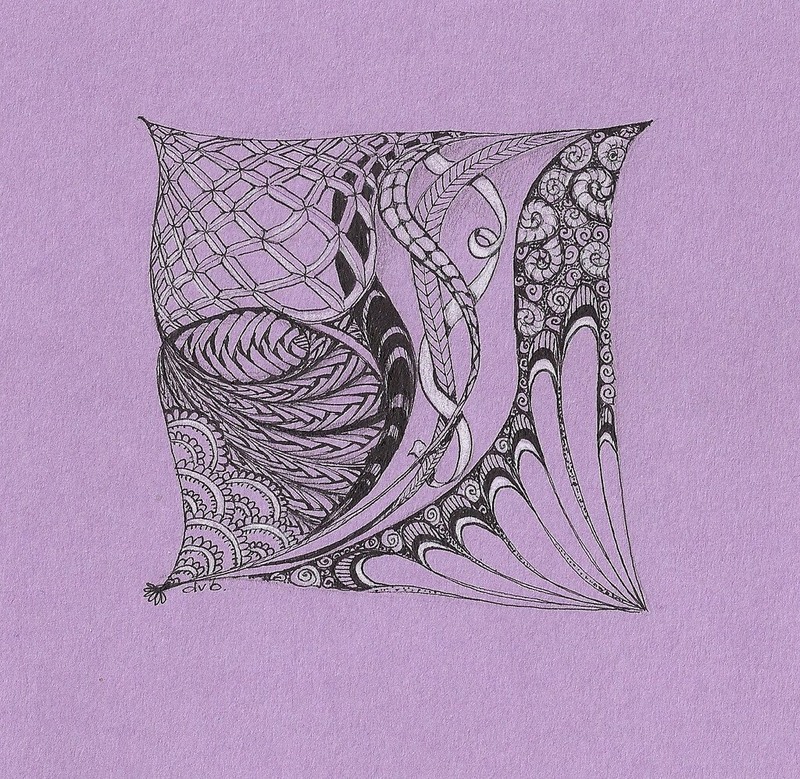 Doodling at a higher level, with intricate shapes on different color backgrounds. 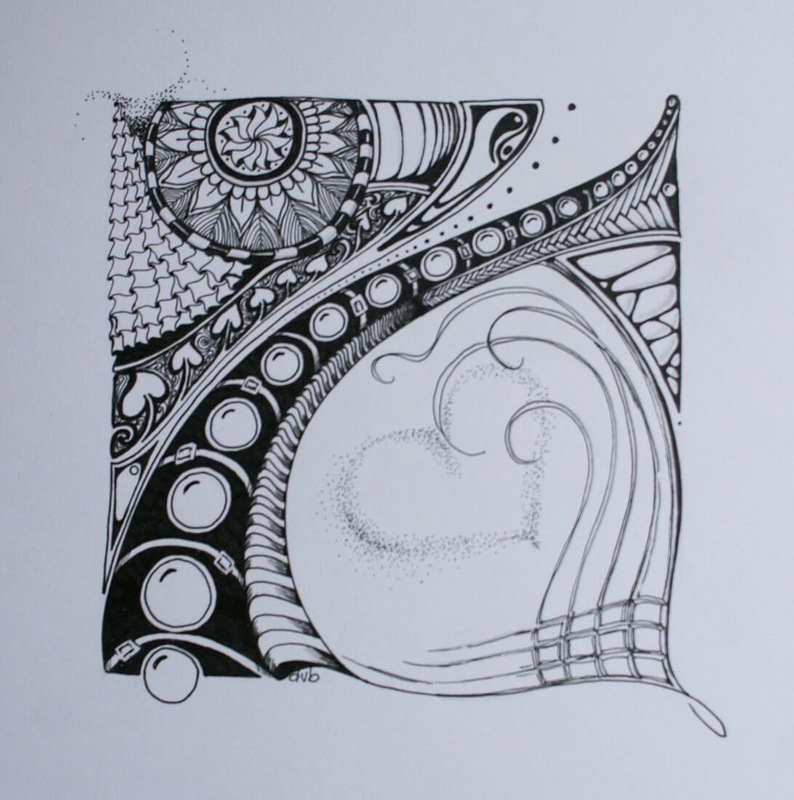 a Doctor and Artist from the Netherlands, Deborah has many and varied interests when it comes to the arts, like: photography painting, drawing, singing/music, polymer clay and more. 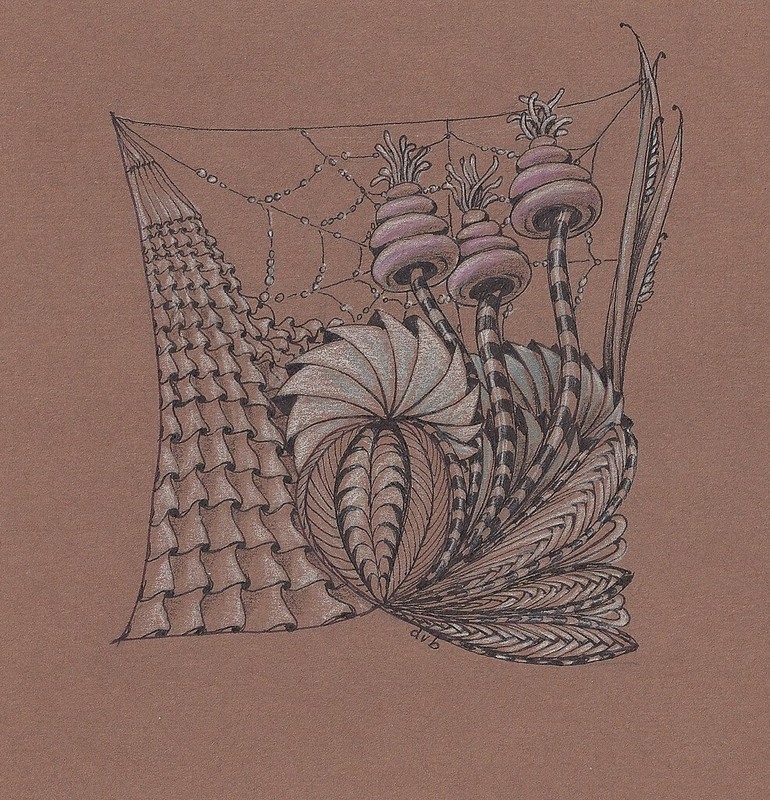 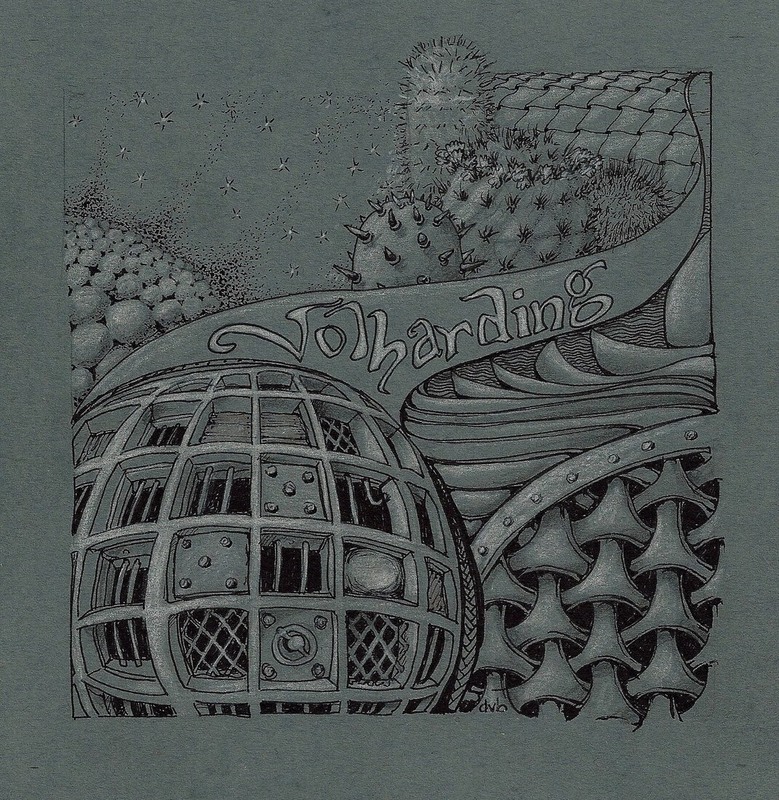 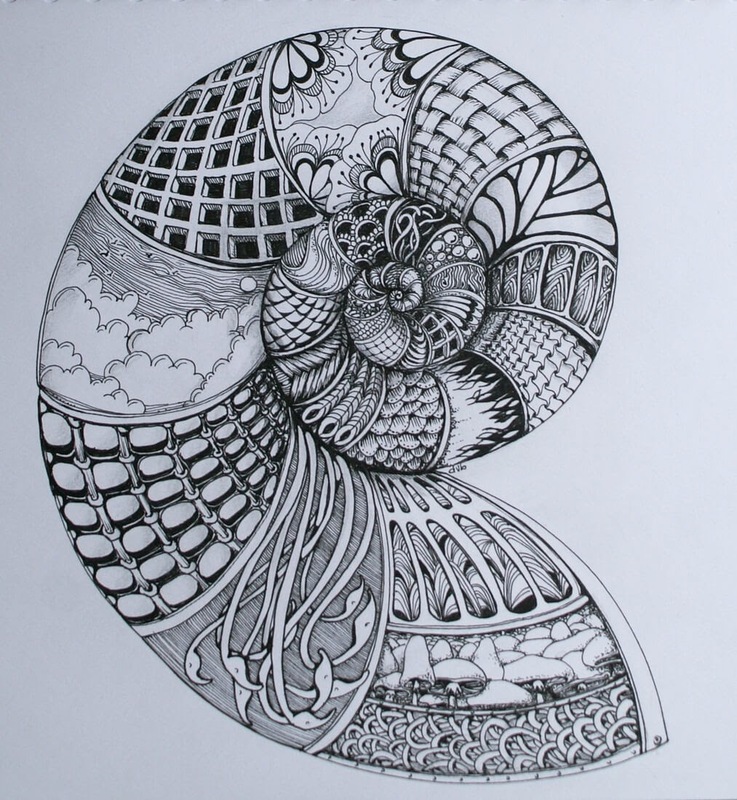 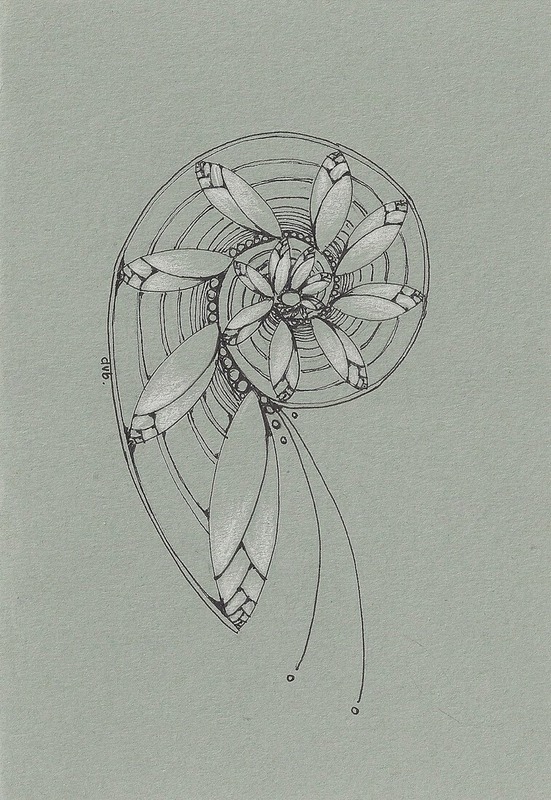 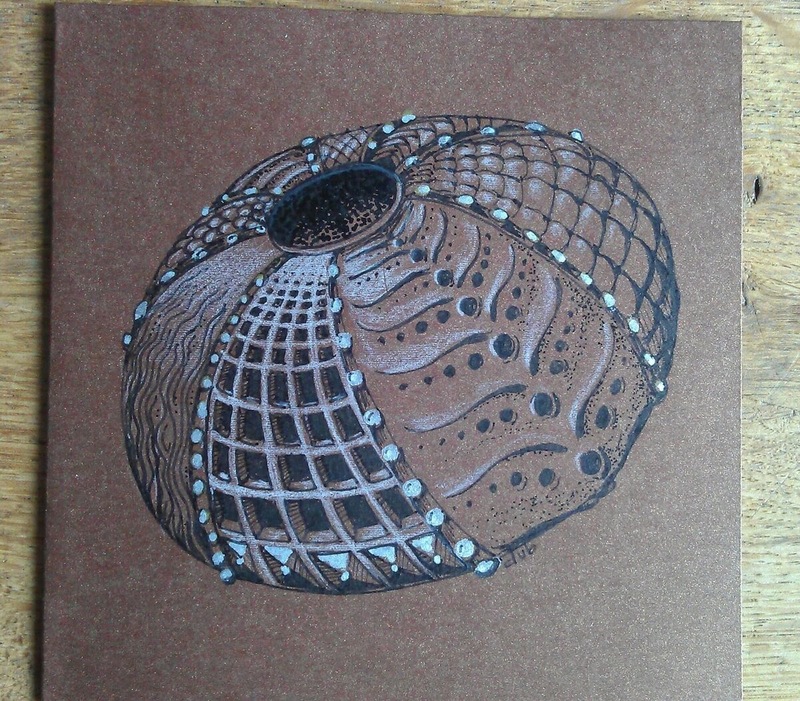 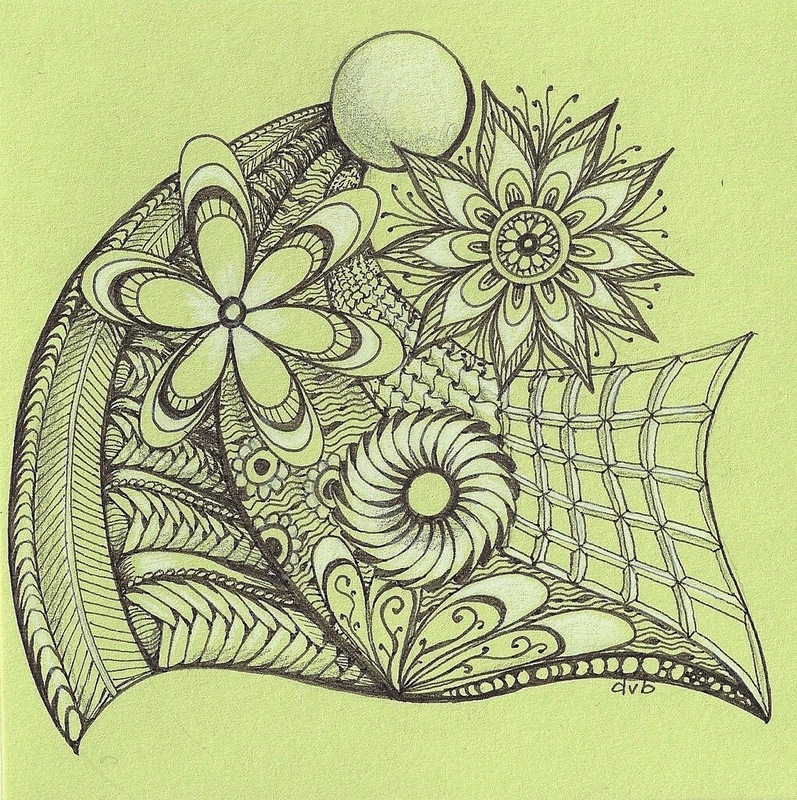 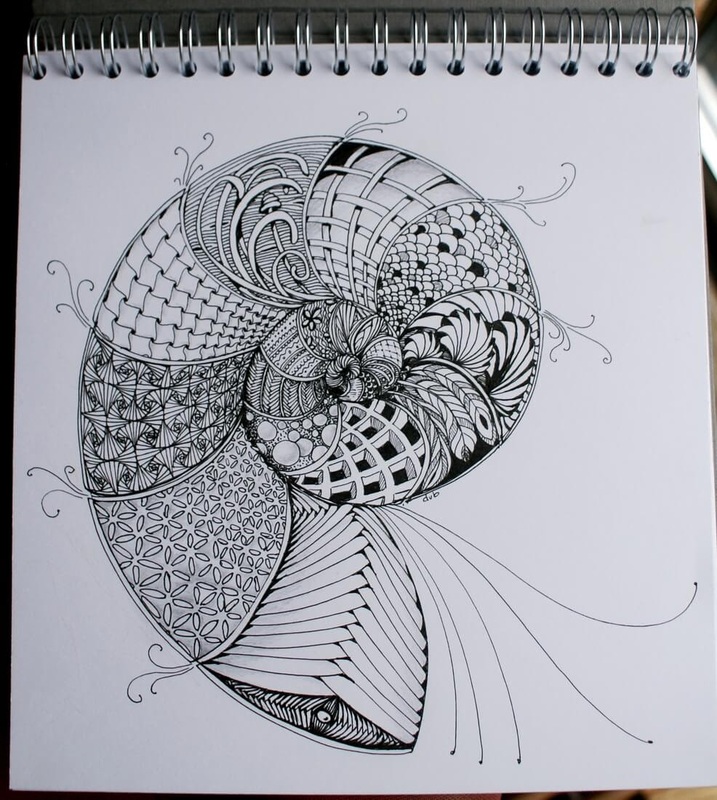 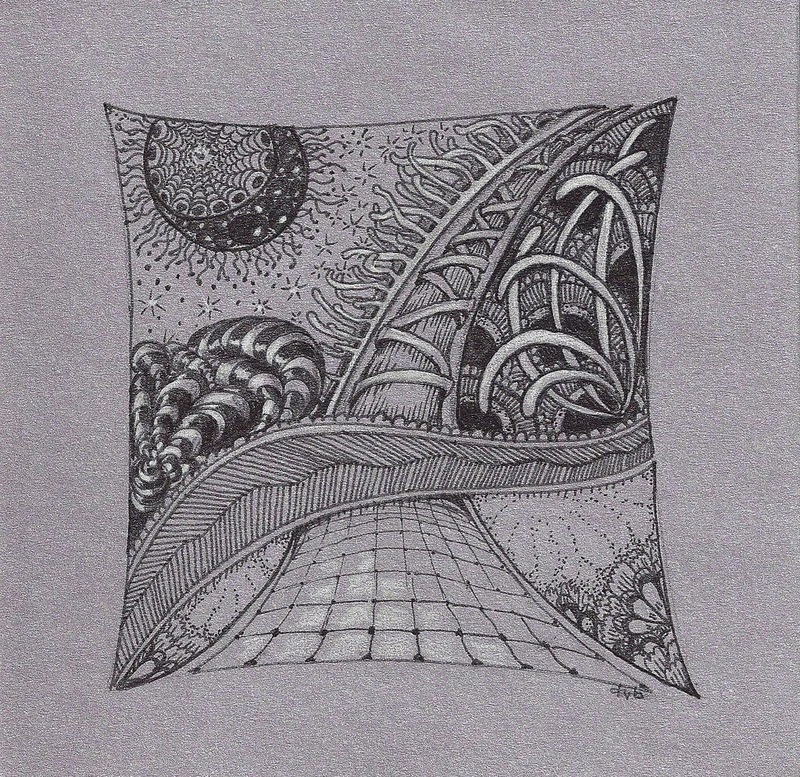 In today's post, we are going to concentrate on her detailed Zentangle drawings. 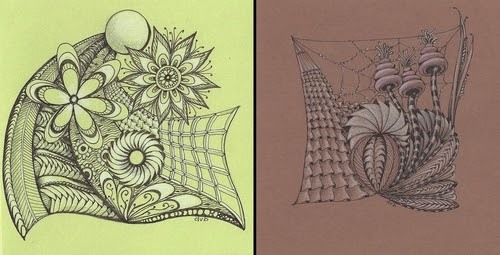 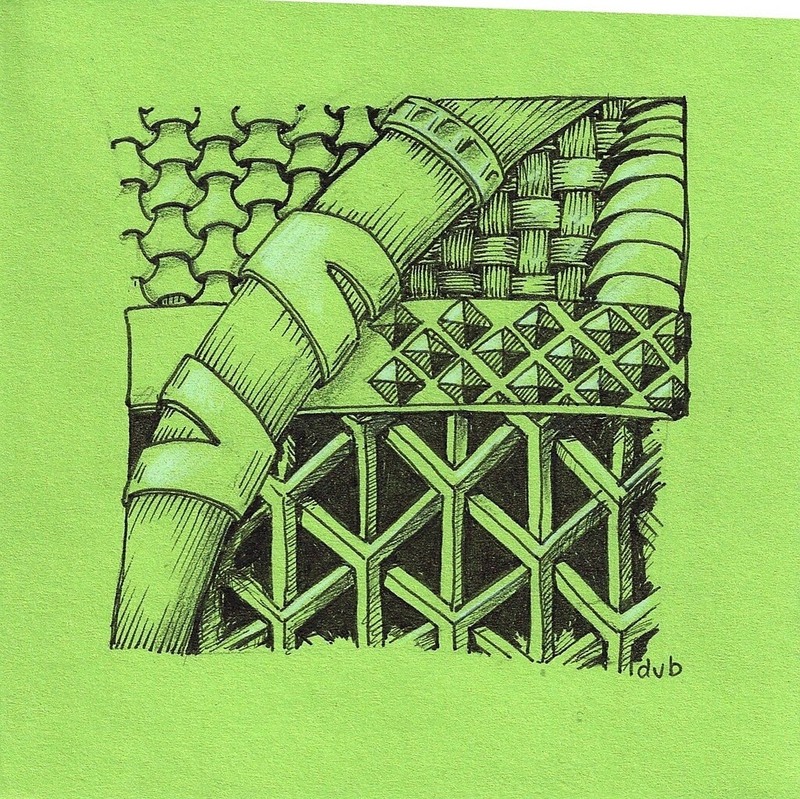 Zentangles are tiny spontaneous drawings usually on a 3.5-inch (89 mm) square paper tile. 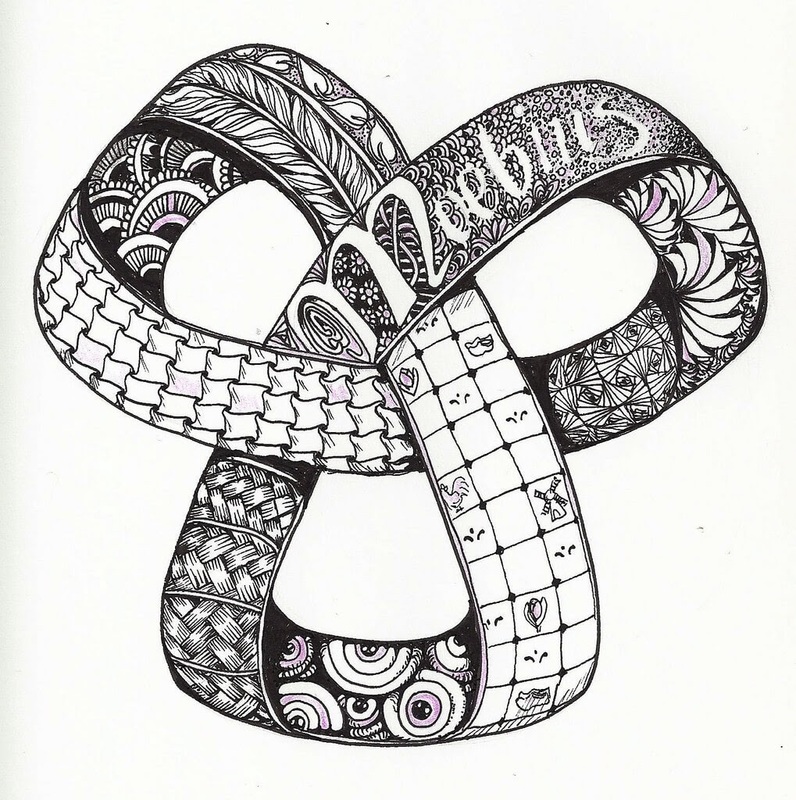 They are mostly abstract and B&W, they follow an assembly, of specific combinations of patterns, called tangles. 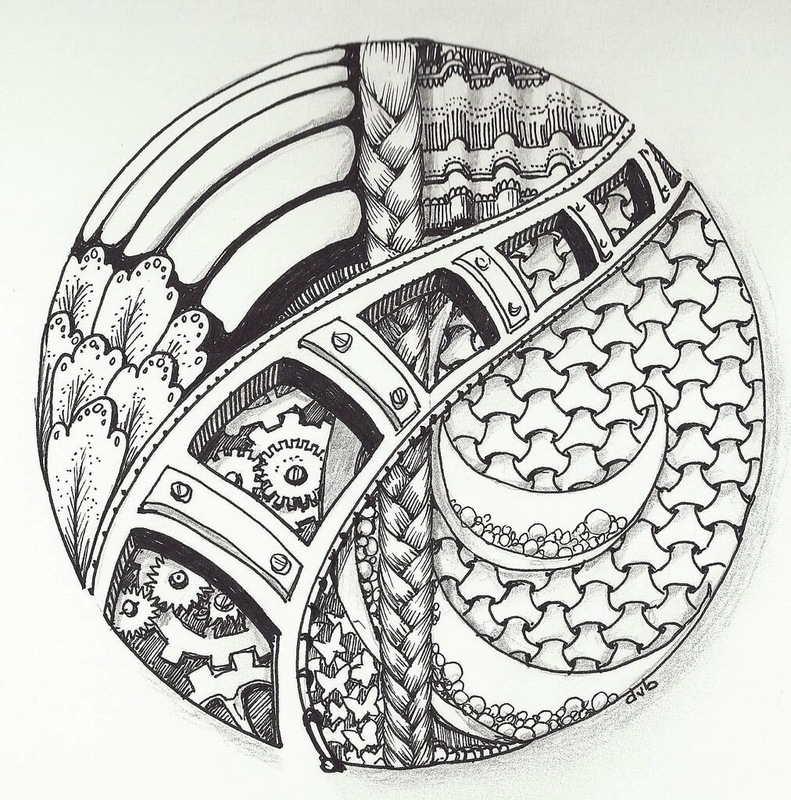 If you press the link, you can see more examples of this form of art, on DesignStack.